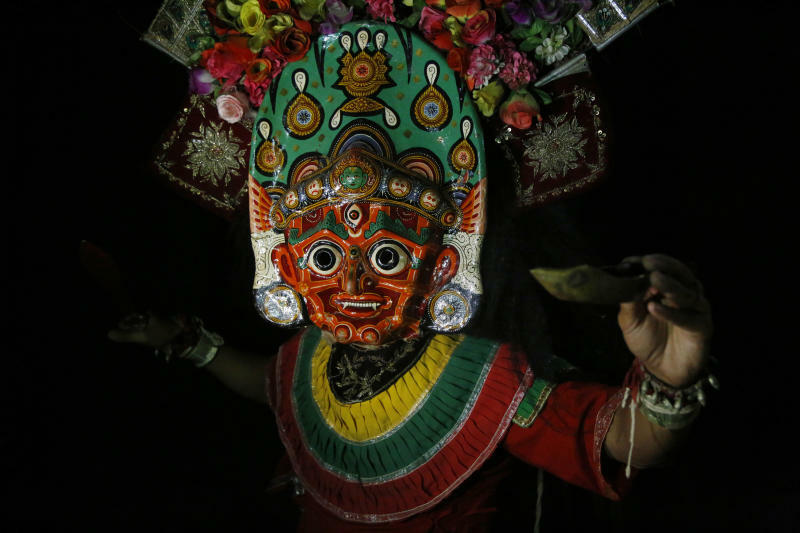 Indra Jatra, an eight-day festival celebrated mostly by the Newar community, the native residents of Kathmandu, is also known as the festival of deities and demons. It especially honors Indra, the Hindu god of rain, to mark the end of the monsoon. The masks and dances can be fearsome, entertaining and awe-inspiring, depending on the performers' movements. A child revered as the Living Goddess Kumari is pulled around Kathmandu, Nepal's capital, in a wooden chariot, families gather for feasts and at shrines to light incense for the dead, and men and boys in colorful masks and gowns representing Hindu deities dance to the beat of traditional music and devotees' drums, drawing tens of thousands of spectators to the city's old streets. The dancers, who come from varied backgrounds, pull off their performance every year despite minimal funding from the government and other sources, they say. 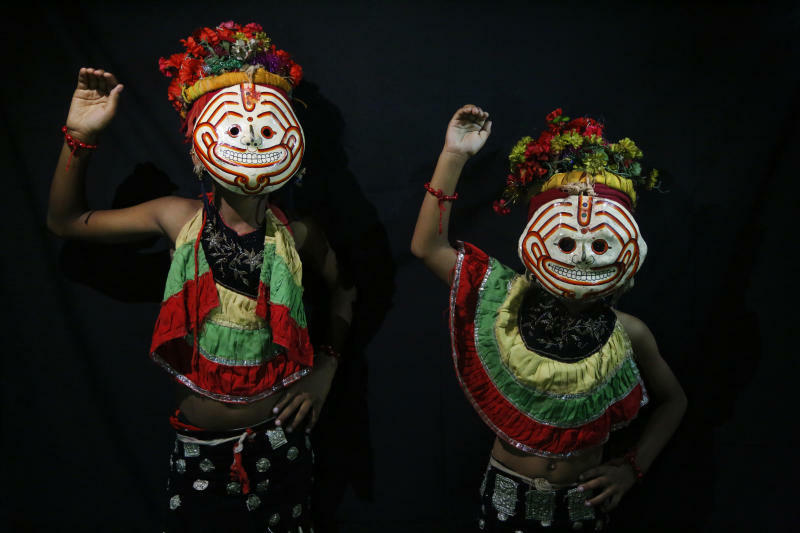 "It is not only about the dancers, we also need to do many rituals before and after the festivals, but the money and support we are provided by the government cannot be compared to what we spend," said Narendra Maharjan, a member of the Devi Mask dance crew. He added: "I remember many mask dances in my childhood, which have stopped now because of these reasons and we fear that one day our dance will also stop." Rajan Maharjan, a former guardian of the Living Goddess Kumari, recalled a September 2008 riot that broke out after Nepal's then-Maoist government cut funding and subsidies for Indra Jatra and other festivals. "The Nepalese government shows and sells our festivals and cultures to the world for tourism, but us being the preserver, what do we get?" Maharjan said.